A: No, I will not create Meal Plans for individuals. 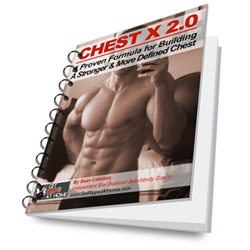 What I will do is help you tailor or tweak your diet to fight your goals. I recommend that you subscribe to the Club Membership, which will give you a customized diet based on your goals. The Club Membership helped me tremendously when I first started the program. A: I HIGHLY recommend Shakeology, which has become the most popular Beachbody product as of recently! 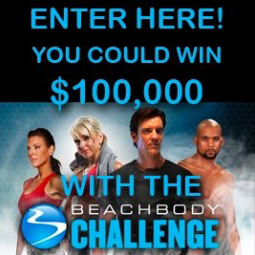 Beachbody is so sure that you will like the product, that they are giving a 30 day “bottom of the bag” money back guarantee! 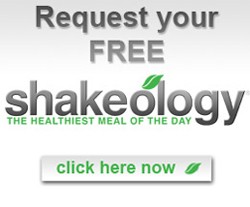 To learn more about Shakeology, click here. A: I followed the Nutrition Guide as closely as possible, but there were some foods that I didn’t like, so I would substitute them with one’s that were very similar in nutritional value. Stick to 5+ meals per day and use the guide to learn how many calories you should be eating. It’s very important to get in the proper protein/carb/fat % of your daily calories. It should be 50/30/20 during Phase 1, 40/40/20 during Phase 2, and30/50/20 during Phase 3. You can keep track of everything by posting what you eat every day into www.fitday.com or www.myfitnesspal.com. Also, the Club Membership creates specific meal plans for you, and is something that I highly recommend. Q: Do you have any tips for gaining mass? A: I have written many blog posts about what I have done to gain mass. Look in the “Workouts” and “Nutrition” sections. A: Please remember that you are building muscle while burning fat. The scale might not budge because muscle weights more than fat. You can’t base your results from what you see on the scale. Instead, you need to pay attention to the amount of inches lost, what you see in the mirror and how your cloths fit. They fitting looser? Than your on the right track! Q: I just started P90X. Do you have any good advice? A: The best advice that I can give is to commit yourself to the Nutrition Guide. 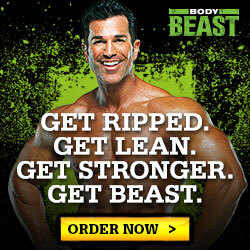 Nutrition is they key to a great transformation and for an all around active lifestyle. I truly believe that great results come from 80% diet and 20% intense workouts. 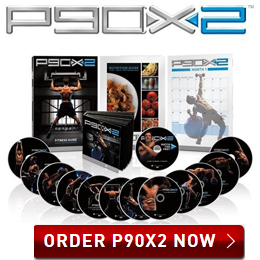 P90X (for example) provides the guide and the workouts, all you have to do is follow it and push play. Q: Is it OK to wake up in the morning and work out, or should I eat beforehand? A: It isn’t necessary to eat before you workout. Some studies have even shown that it can help burn fat. 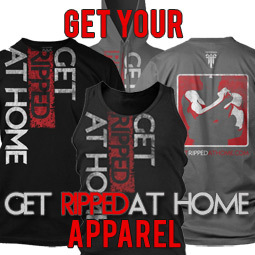 The last thing you want to do is eat in a hurry and cramp up during your workout. However, if you do have time to eat, 45mins to an hour, then try eating some protein and a carb. This will give you more energy during your workout. The most important time to eat would be AFTER your workout when the body demands simple carbohydrates and protein for recovery. 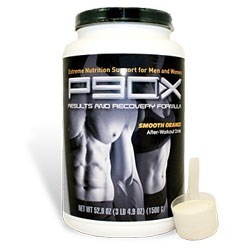 You have about an hour span after your workout to eat or take your Recovery Formula. Q: I am having trouble reaching my protein mark for the day. What snacks can I add to increase my protein? A: I always recommend Non-fat Greek Yogurt, low-fat cottage cheese, Low Sodium natural jerky, reduced fat string cheese, or a protein shake. Q: Is it OK to have a cheat day or cheat meal? A: Yes it is ok to have a cheat meal but not a cheat day. If you are currently doing a program it is important to stick to a clean diet as much as possible. However, if you need to have a cheat meal stray not to go overboard. Stick to non processed foods. The more dedicated you are to your diet the better your results will be. Q: I just don’t have enough energy to complete my workouts. What should I do? A: When you don’t have enough energy, it means you are not taking in enough carbohydrates during the day. One thing you can do is eat a simple carb about an hour before you workout. This should increase your blood sugar level in time for the workout, therefore giving you more energy. Q: The Nutrition Guide wants me to take in 3,000 calories per day, but I think this is too much! Should I force myself to eat this many? A: Definitely not! You want to be eating enough so your body can build muscle and not go into starvation mode, but you don’t want to stuff yourself. Remember that Health/Fitness is all about trial and error. You need to find what works for you. Balance is the key to long term success. Q: Do you drink? Is it OK to drink alcohol while doing P90X? A: Personally I don’t drink, but that doesn’t mean that you shouldn’t. It’s ok to have a drink every once in a while. It’s important that you don’t over-do-it though. Drinks that are “healthier” for you would be anything lower in calories. Stay away from the “sugary” cocktails. Light beers, cocktails with diet soda would be better choices. Remember that alcohol contains calories as well, if you are easily persuaded those calories can add up quickly. Howdy would you mind stating which blog platform you're working with? I'm looking to start my own blog soon but I'm having a hard time choosing between BlogEngine/Wordpress/B2evolution and Drupal. The reason I ask is because your layout seems different then most blogs and I'm looking for something completely unique. P.S Sorry for being off-topic but I had to ask! Hey man I desperately need your advice. I am 5'7 150 lbs and I am trying to cut body fat but gain lean muscle at the same time so I can get that ripped look and I can not decide which P90x course to start and how many calories to take. @Nalley: At least try to get them up to over 1600. You might think it's enough food for you but if your working out hard then it isn't. Try it for 2 weeks and see how it goes. But what if with the calories I'm taking right now it's more than enough food? I know I won't be able to manage more; I already have trouble at times with the portions I am eating. I am currently doing the fat shreddar phase of the portion approach of the meal plan. But I am only eating around 1,400 calories instead of 2,200 that I need.. Is this ok? what should I do? i am planning on startung P90X on monday. I currently have an account in fitday.com. I am going to use the portion approach of the meal plan. I am going to start with the fat shredder. I input all the info in fitday.com and my percentages are on track with the plan, 50% protein, 30% carbs, and 20% fats. but when i input the protein bar and the recovery drink my numbers change completely to... 40% protein, 40% carbs and 20% fats. what should i do? are the percentages in the eating guide for just the food without the bar and recovery drink?